This demipointe is a transitional shoe from the ballet flat to the pointe shoe. the demipointe is deigned to provide the correct amount of resistance for foot and ankle strengthening in preparation for pointework. 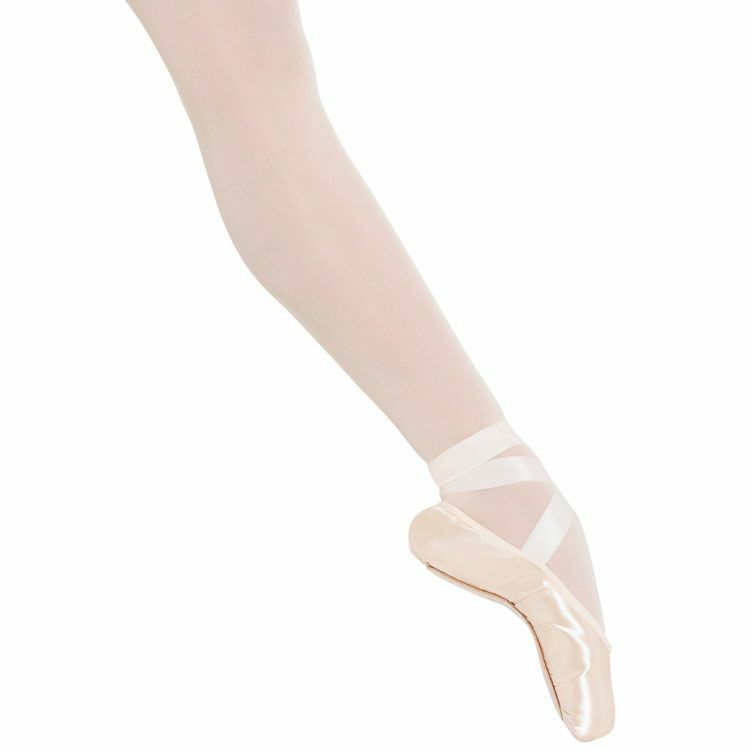 The s0165 features an adjusted pointe shoe box construction, which is softer but still allows the dancer to experience the feel of a pointe shoe. The insole and outsole work together to provide the correct amount of resistance needed for foot and ankle strength development, while the padded insole cushion provides comfort. this shoe is not designed for work “en pointe”.